The Opel Rüsselsheim complex has roots in the 19th century. It has built a plant and an operating structure that it hopes will be effective and efficient for the 21st century. Here’s a look. Building a "leanfield" plant at Rüsselsheim. Note (1) the star shape of the new building and (2) how the new building is being constructed on a site that's full of old(er) structures. When full production of Vectras is reached, the output will be 270,000 vehicles per year. The whole factory was simulated. Note here the logistics layout, with the trucks delivering materials that will proceed directly to line side. The star-shape facilitates loading to the line. Even workers were simulated for purposes of assuring the ergonomics of the tasks. Here, steering column installation is being performed. The goal was to develop tasks that could be done without stress and strain. GM VLE Gene Stefanyshyn is responsible for rolling out new models on the global Epsilon platform, including the new Malibu and Grand Am. The Adam Opel AG Rüsselsheim complex in Germany seems to be to that company what the Rouge complex in Dearborn is to Ford Motor Company: a historic site with a meaning that goes far beyond any factory. In November, 1999, Ford announced that it is building a new assembly plant, which will be called the “Dearborn Truck Plant” at the Rouge Center. In the case of Opel, a new plant was announced in May, 1999. The structure is up; the equipment is being moved in or is already installed; volume production of a new Vectra model, based on the GM global Epsilon platform, will begin early in 2002. While many people may be familiar with the Rouge and its scope of integrated manufacturing capabilities established by Henry Ford, Rüsselsheim’s past is probably not as well known. Auto production there goes back to 1899 with the production of the “Lutzmann patent motor car.” The first car assembly line in Germany was installed in Rüsselsheim in 1924. The site had to undergo rebuilding after World War II; that work was completed in 1950. In 1954, they started construction of a new body plant for stamping and final assembly; at the time it was the biggest new industrial construction project in the Federal Republic of Germany. The K40 body plant went into production in 1956. A new paint shop went on line in 1981; Opel became the first car manufacturer anywhere to use water-based paint in production. The International Technical Development Center was built on the grounds of Rüsselsheim; it houses designers, engineers, technicians, and the associated managers. The point of all of this background is simply to indicate the amount of investment that has been made on that site (and know that there are plenty other projects that I’ve left out for purposes of making said point). But sometimes, making modifications and improvements is not enough. So they made a decision to do something different. Although it could simply be a matter of semantics or spin, in point of fact there is a commitment at Opel to developing a new way of work at its long-standing Rüsselsheim site. There are “brownfield” plants, those places that are, well, already there. Working on a brownfield site means making whatever improvements can be made within the existing structure. Sometimes what you can do there doesn’t go quite far enough. Such a plant exists at the Rüsselsheim complex, where Omegas and Vectras are built. Then there are “greenfield” plants, where ground is broken that hadn’t previously been fitted with foundations. Often, these plants are built in comparatively far-off places compared to where things are ordinarily done. (Think, for example, of a U.S. greenfield: Saturn in Spring Hill, Tennessee. Not exactly mainstream auto terrain when it was built.) As the people at Opel were considering building a facility for building cars, they thought long and hard about the lands to the east where there isn’t much in the way of modern manufacturing facilities yet there are a good number of people who are capable of building cars—at a lower wage rate. But then there is what is known, in the parlance of the General Motors Global Manufacturing System, as the “leanfield” plant. It is, in effect, brownfield melded with greenfield with a whole new structure put in place. And this is what is going to go into full production early next year in Rüsselsheim. He goes on to explain that there was considerable forethought regarding this approach, going to the leanfield rather than to the green, which many of his German competitors have decided to do. Strinz says, “Opel has invested a total of DM 1.5 billion in the new plant. To be honest, it might have been cheaper and easier to build a new plant on a green field. This was no easy decision, and we compared the pros and cons intensively. In the end, we decided that we would take advantage of the strengths and advantages of this location. “These are the three main arguments for it: 1. Our experienced, dedicated staff. 2. Proximity to the International Technical Center and therefore ideal preconditions for exchange between production, product development and manufacturing engineering. 3. Immediate contact with other central corporate functions, such as purchasing, and an infrastructure that is unique in Europe.” People and resources: potent elements for successful operations. The architecture of the 48,000-m2 final assembly building is unlike anything I’ve ever seen (and I’ve seen a lot of assembly plants). Generally, assembly plants are variants on rectangles and boxes, something that you could model rather readily with Lego blocks. That’s not exactly the case at Rüsselsheim—at least not unless you have some sort of deluxe Lego kit. The building is star-shaped, with five arms. It is sort of like this: * (minus 3 legs). Michael Wolf explains, “There is a simple explanation for this from an architectural point of view: With this ground plan, we create a very long building frontage in order to optimize deliveries of materials and components.” There are more accessible walls than would be the case with a traditional layout. What’s more, rather than using the traditional rectangular approach, the spur-like arrangement breaks down the production line so that there is good visibility of the overall line. Of the five spurs, four are the main production line; the fifth is where door and cockpit modules are prepared for insertion into the main line. The four segments are decoupled so that should there be a stop in production due to the pulling of an andon cord (quality, as will be noted below, is a key concern of the production operation), there isn’t a complete line shut down as there are buffer zones between the lines. At the center of the star there is an area replete with meeting rooms and information boards; it is referred to as the “nerve center” of the plant. There is another feature of the final assembly hall that is architecturally unusual compared with the norm: There are windows lining the outside walls of the plant. Not only are these windows valuable from the point of view of providing the people in the plant with an opportunity to get a sense of what is going on in the outside world, not only are the windows decorative, they are also functional. Each window is dimensionally similar to a loading dock. In the event that there needs to be a change to the layout of the docks (say a new vehicle is to be produced), the windows and the loading docks can be shifted in a comparatively easy manner, thereby permitting fast changeover of the outside of the building. Coming up with the plant and the processes that are housed within it was turned over to the people in the International Technical Development Center. Using their UGS software tools (General Motors has standardized on UGS for product and process development, thereby facilitating global product development because everyone is using the same tools), they actually built the plant and installed all of the equipment in the virtual world. All together, they simulated 1.3-million m3. They had a virtual reality building set up two years prior to one in iron and steel so that they could optimize the structure before any concrete was poured. They simulated the more than 600 robots in the plant and expect there to be resulting operational efficiency in the 80 to 85% range, a sizable improvement over typical current practice. They even simulated the assembly line through final assembly, including test and finishing, which is a demanding task due to the variables related to those operations. They brought in people from the plant’s Works Council and the Opel medical and industrial safety departments to simulate the ergonomic aspects of vehicle assembly so that there would be assurance that the operations that were put in place would not include unsatisfactory work positions and movements. They simulated the stamping shop with the result that they were able to minimize the size of blanks needed in production. They simulated the 70 docking stations in final assembly so that they were able to coordinate the logistics between the suppliers and the assembly line. It is expected that the investment ordinarily spent after production begins in order to modify things will be cut in half as a result of this extensive simulation. Dionisius, who handles human resources at the Leanfield Project Center at Rüsselsheim: “Lean production joins people and technology. Which means people come first . Which necessitates extensive people involvement. Which means that people need to be extensively trained in the methods first (not technology) if for no other reason than most people in industrial organizations have not historically come first (common rhetoric like “People are our most important asset” notwithstanding). So the people have to learn the new way of work before they can perform it, a point that seems obvious, but which is sometimes overlooked in organizations because it is so apparent. Dionisius points out that it is important to train everyone: “This avoids two classes in the workforce (i.e., the trained and the un-). They’ve found that training two hours per day, Monday through Friday, is about right for most people, especially those who haven’t seen the inside of a classroom for years. (And let’s face it: there are a number of people who work in factories because they weren’t interested in continuing to be in classrooms). To prepare for the new factory, orientation with people at the existing plant began in 1999; the then-10,000 people* learned about the considerable investment the company is making, about the production system, the training, and about the importance of Rüsselsheim. The training then proceeded in a cascading manner: Plant directorÕUnit managerÕProduction/shift/department managerÕSupervisor/group leaderÕTeam leader/team member. The training is performed by an internal training team; most of the 17 trainers (all of whom spent time at the Opel Eisenach plant, which is a model of lean production) are hourly workers: “They are accepted by the shop-floor people,” Dionisius says, explaining that when it is peer-to-peer training, things go more smoothly. This place with a long automotive past clearly has a long, productive future. The Vectra that is going into production at the new Rüsselsheim plant is based on what is known as the global “Epsilon” architecture. This is a mid-sized architecture that will be used for a variety of vehicles, including the Saab 9-3. In the U.S. Epsilon will be used for the next-generation Chevrolet Malibu, Pontiac Grand Am, and yet-to-be-named Saturn (the current Saturn L-series is based on the current Opel Vectra). (The Saab will start production in the second half of ’02; the Malibu production is scheduled to start in early ’03; the Grand Am and Saturn will follow.) 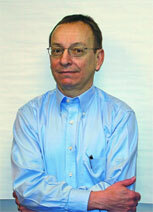 Gene Stefanyshyn is the vehicle line executive (VLE) overseeing the North American Epsilon models. Stefanyshyn’s background includes stints at the Saab Technical Center in Sweden and at Opel’s International Technical Development Center, which he says is helpful with regard to working with his international colleagues on the Epsilon variants. Which leads to another point in the VLE’s favor: There is the possibility of achieving good manufacturing flexibility by doing such things as using common components where they make sense (e.g., there will be a common seat frame for the Malibu and the Grand Am, but the seat’s other elements will be distinctive to the models). There is an awareness that “common” is most effective in places where people don’t see them; there is not a desire to have someone who buys one brand to see that there are the same touch points as in another. Here’s one thing that you rarely hear and would like to from more people in the industry: “It’s fun to work on a car and to see it at all stages, knowing that one day people will drive them.” Think about that: (1) fun working; (2) enjoyment in the process; (3) concern/interest in customers. More companies need people like Gene Stefanyshyn working for them.